India - a living work of art. To live in India and walk past pillars and walls 'decorated' with paan stains by the galore is a familiar sight. To not notice them is more normal, encouraged even. It is expected, mandated too perhaps, that regardless of countless cleanliness drives and repainting jobs, the 'art' of the dull-witted appears on the same pillars and walls the very next day. Call it magic, maybe? However, just like everything else, there is nothing that does not catch the curious and ever-observant Internet's eye, often using their crafty imagination to find humour in grim realities. 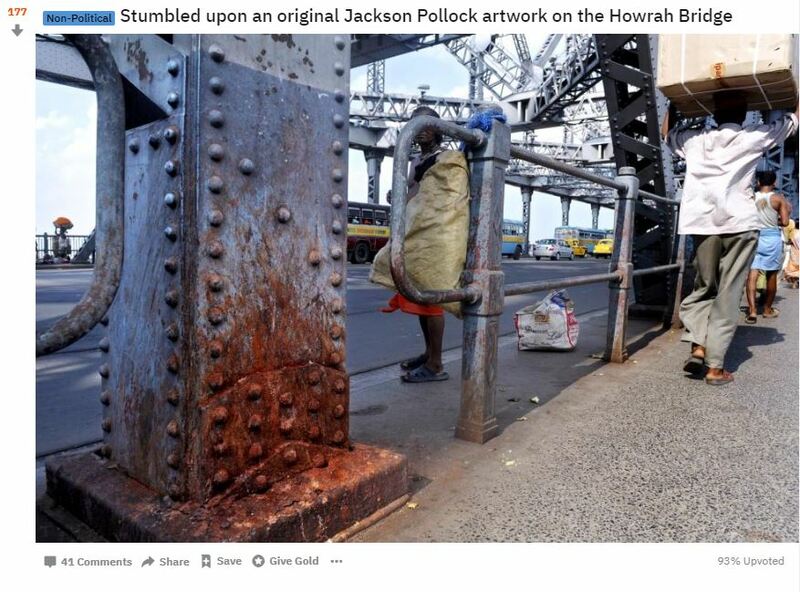 So when a reddit user decided to not ignore the 'national artwork of India' (by default), he did not write a 500-word essay on 'Public Sanitation Grievances', instead chose to make light of the situation by merrily equating it with the likes of a Jackson Pollock artwork. For the uninitiated, Jackson Pollock was a celebrated painter of his times and a pivotal figure in the abstract art movement. The same art that everyone does not understand but then make haughty claims like, "Arre, even I can make this. Much better in fact." And looking at all the stained walls and pillars in the vicinity, it may be foolish to rule it out. 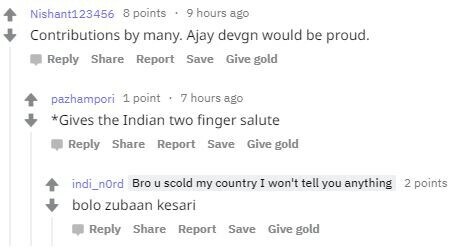 Of course, Reddit users decided to join the party as well, with many hailing India as a 'living work of art' and others trying to have some fun at Ajay Devgn's expense. Why? Oh, because zubaan kesari.